Barefoot running. Running barefoot. Either way, if you are over 30 and thinking of trying this newer running trend, you might be increasing your risk for injury. New research from the 2015 Annual Meeting of the American Academy of Orthopaedic Surgeons (AAOS), revealed that most experienced runners who are 30 years and older use a heel-first pattern when running without shoes. 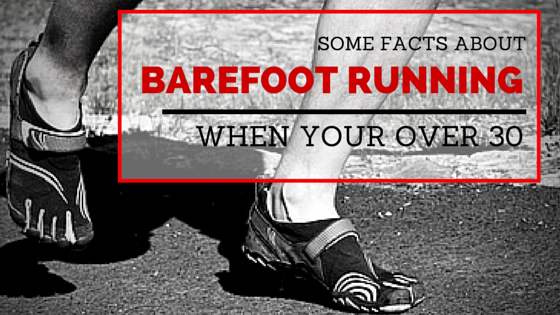 This means that they are already conditioned to run as if wearing a typical running show with an elevated heel. With the new trend in "barefoot running," or wearing a minimalist shoe that simulates barefoot running, the balls of the feet hit the pavement first - the total opposite motion of the heel-first method. Although it is good practice to shake up your regular running routine, switching from the heel-first pattern to the barefoot style later in your running career could lead to frequent injuries. Common injuries include Achilles tendon or ligament tears, sprains and strains, and stress fractures. The University of Kansas, Department of Orthopedics and Sports Medicine, conducted this study and measured the heel-to-toe drop of 26 runners, all age 30 or older who each had a minimum of ten years running experience. A motion capture system was used to monitor their foot strikes when they ran both with and without shoes. The results suggest that older, more experienced runners have a harder time adapting their foot strike to a change in shoe than adolescents, for example, or those new to the sport.